We grew peas for the first time this year. They are for a company that will take them from our field, clean them, freeze them and then they will end up in grocery stores for you to buy! 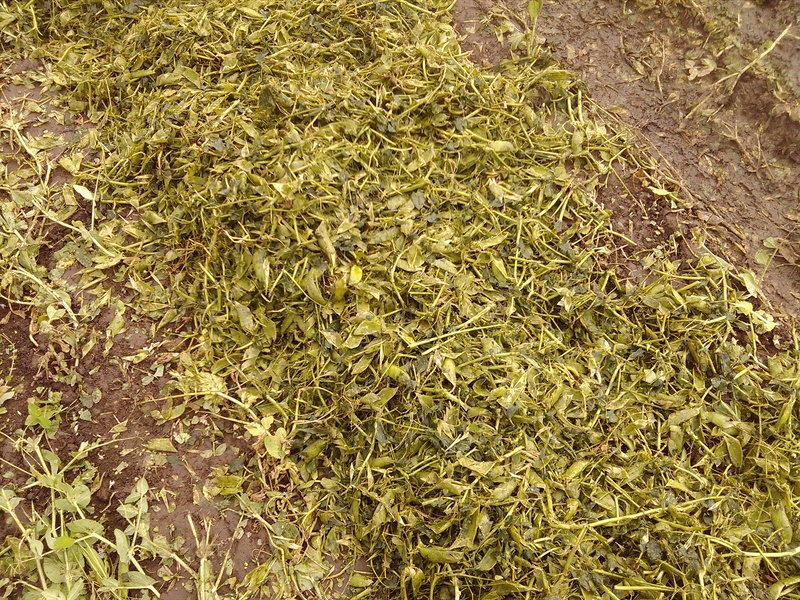 Here are some pictures from harvest just yesterday. I’ve always tried to be honest about good and bad times on our farm. And this time our yields weren’t quite up to snuff you could say. 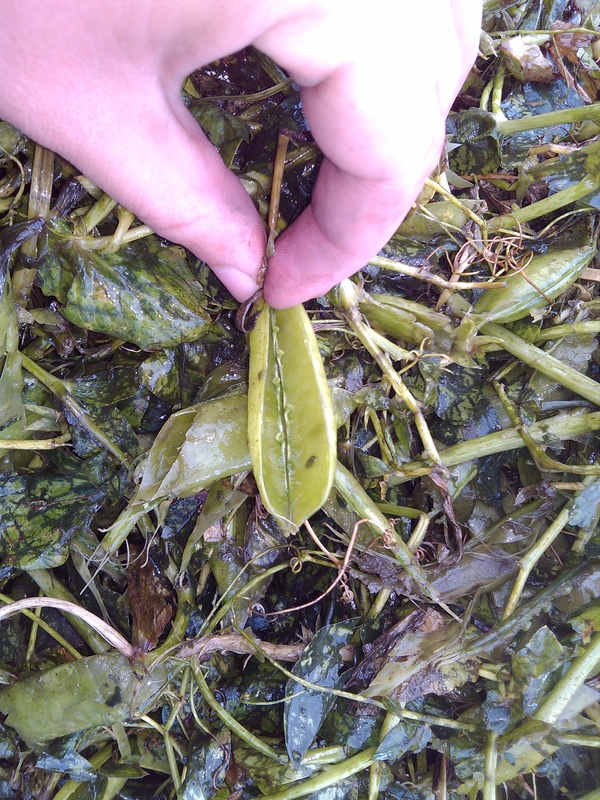 We had a lot of pea pods that look like the picture below. It hurt our yield, but I learned a lot, and I know next year will be better! 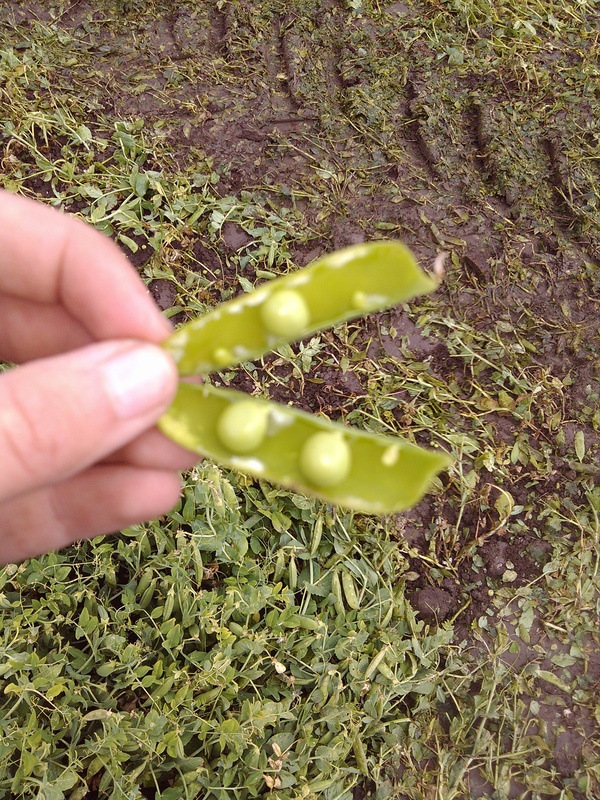 You can see that some of the peas aren’t sized up. Each one of those small peas is lost income for this crop. 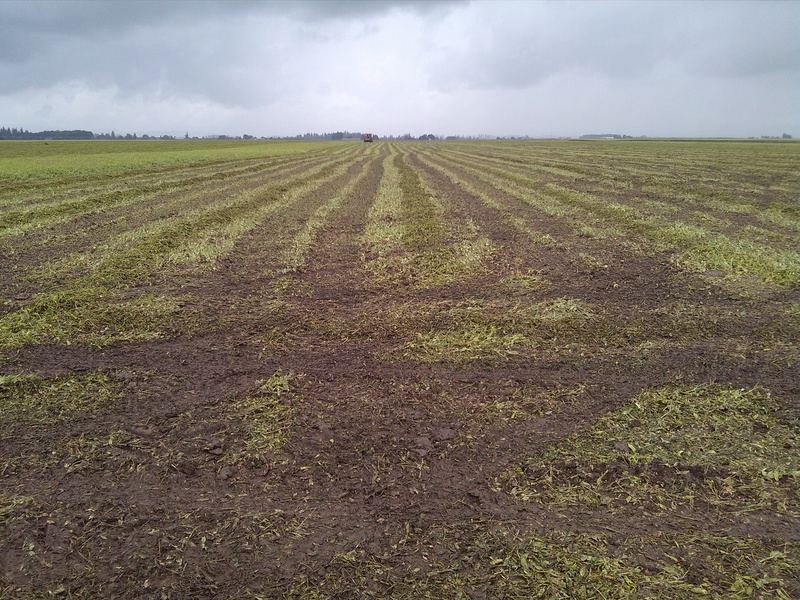 The picture above is all the trash left behind by the combines (harvester), lot of vines and pods. 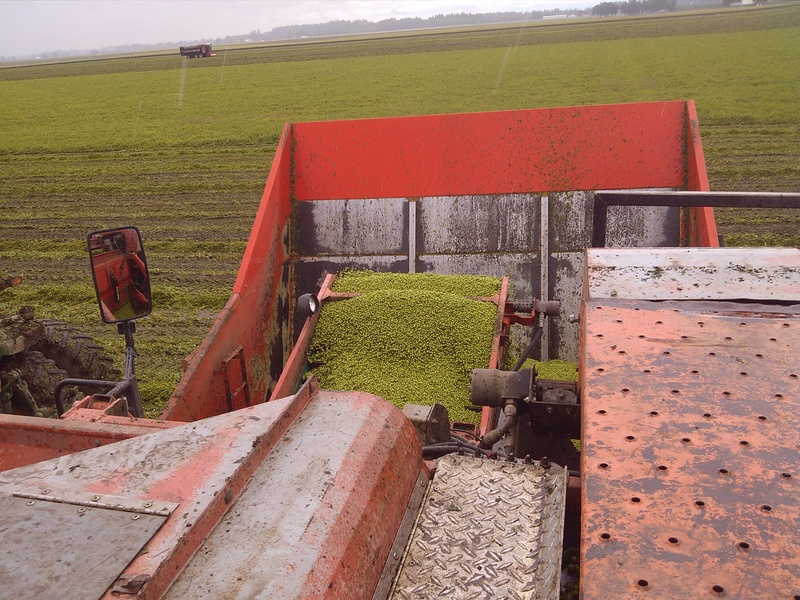 The vines go in the combine and go through a large roller that opens the pods and separates the peas from the trash. 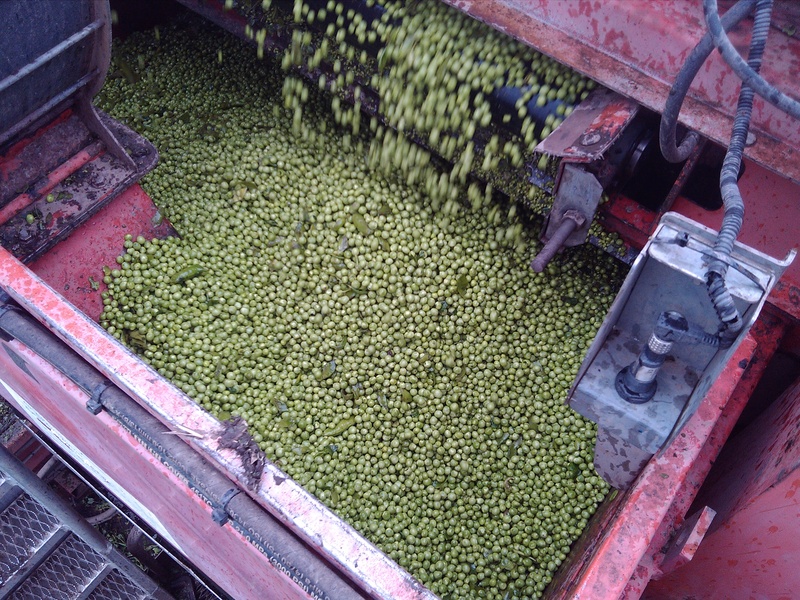 Then the peas are put into this tank. Next they are transferred into a wagon, then into a truck, and finally the to the plant where they will be processed for your freezer! ← Why grow Crimson Clover for Seed? 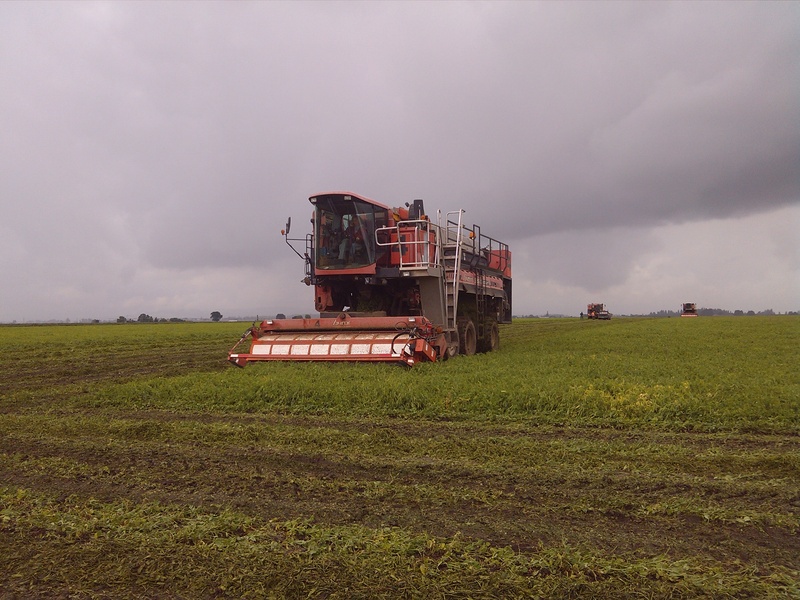 Pea viners! I know about those. : ) Back here, they harvest rain or shine and you can hear them rumbling down the road. There’s also a very specific fragrance that goes with pea viners. : ) Reminds me of summer. Very cool! I’ll bet those little guys are tasty!